It had been many months since I’d left the coast. It’s easy to forget that so much of the state is farmland; much of it fallow. Some stretches of road are ghostly with abandoned farmhouses, broken-down tractors and decaying agricultural buildings. Others showcase a commitment to keeping agricultural traditions alive, such as Route 137 running through Waldo County. When I pulled off Greeley Road in Freedom onto the dirt driveway of South Paw Farm, I was greeted by four dogs, two of them pups and all of them some mix of collie and shepherd. A tall, quiet fellow named Santiago greeted me and shooed the dogs away. He called out for Meg Mitchell, co-owner of the farm, before getting back to work himself. When Meg and I sat down at a weathered picnic table to begin our chat, a little girl no older than ten approached Meg to ask if she could help on the farm for the day, as she was saving up for something special. Meg had an entire crew to manage and lots to accomplish, but she explained to the little girl that she could tag along if she kept up and took her job seriously. Meg is kind and honest by any measure. She is also patient, thoughtful, and passionate. Passion in farming can be fleeting, but in Meg’s case, her commitment to that passion carries her steadily along. At the age of 18, while in school in Atlanta, Meg attended a semester school reunion in North Carolina. While at a diner, Meg met a man named Daniel Price who had just finished school at College of the Atlantic and gone on to purchase a farm in Freedom with his wife, Ginger Dermott. They had aptly named the new venture, Freedom Farm. Before the reunion was through, Daniel offered Meg the opportunity to move to Maine and work on Freedom Farm. Meg took the job and spent four years familiarizing herself with the land, the soil, the drainage and the potential for growth. 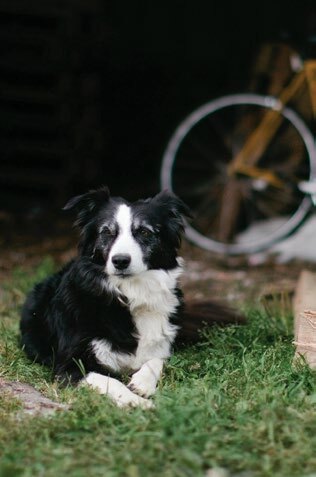 In 2008, armed with her experience at Freedom Farm, Meg set out to own and operate her own business, which had always been her goal. She bought a “squirrely little piece of land” (Meg’s words) in Unity and named it South Paw Farm. As she worked the land, she came to better understand the local market as well as the economic model for the business. Meg quickly realized that while going to farmers markets across the state diversified South Paw Farm’s customer base, she sold the vast majority of her produce at the Portland Farmers Market. It was in Portland’s Deering Oaks Park, selling vegetables, that Meg met her future business and life partner, Ryan Mitchell, who at the time played in a punk band. Then, towards the end of 2014, Daniel and Ginger decided to move to North Carolina and offered to sell their farm to Meg and Ryan. 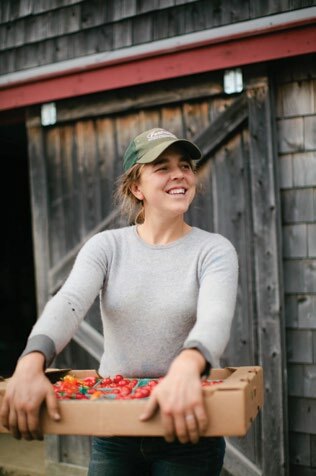 A few years prior, Meg had enrolled in the Maine Farms for the Future program, where she had written a business plan to grow the vegetable production capabilities of South Paw Farm. When Daniel and Ginger decided to sell Freedom Farm, Meg and Ryan were able to redirect the grant funds Meg received toward securing the land in Freedom. Maine Farmland Trust purchased an easement on the Freedom Farm land, which lowered the purchase price and made ownership possible for the young farmers. For the 2015 season, Meg and Ryan operated under the moniker South Paw at Freedom Farm as they transitioned, taking advantage of the business Daniel and Ginger had built, but giving it their own stamp as they developed a strategy for sustainable growth. In a state like Maine, running a diversified farm can be critical to long term sustainability. South Paw is 55 acres of land, much of which is woodlot, and 22 acres of which is either cultivated or pastured. Of that, 18 acres are vegetables. Meg and Ryan recently leased another 8 acres across the road, with an eye toward purchasing that land in the future through a similar arrangement with Maine Farmland Trust. Seventy percent of South Paw’s business is gener-ated by sales at the Portland Farmers Market, twenty percent is wholesale accounts, such as restaurants and Rosemont Market, and about ten percent is devoted to a small but committed CSA (Community Supported Agriculture). The farm has a significant hoop house operation, growing a variety of tomatoes and peppers, basil, and ginger. Meg recently acquired a chili roaster, which tends to be a draw to their booth at the Common Ground Fair. The fragrant mix of hot and sweet peppers tosses in an iron cage over an open fire; a conversation starter on cold days. Meg and Ryan have also established a substantial perennial operation, with over ninety heritage apple trees, peaches, elderberries, and raspberries. As another side project, they are on their sixth round of raising dairy cows for calf stock. I asked Meg if she faces challenges recruiting labor, as this is a common industry struggle. She said that there is a core team that has been there for a while: Santiago (“Santi”) Zamudio Quiroz, Mike Showalter, and Kelly Murray, without whom they couldn’t possibly make the place run. Farmhands are often traveling folks who head south for the winter months to work in agriculture, hospitality, or other seasonal positions. It’s the kind of job some people quit fast: demanding responsibility, responsiveness, and serious stamina. While farming has romantic undertones, the reality is that many people aren’t cut out for it, physically or mentally. Luckily, this is a quick discovery for most. But even for farmers who own their land, a second job is often the norm. Meg and Ryan work for Fedco Seeds in the off season: Meg does most of their potato seed purchasing and Ryan helps with bookkeeping. She adds that new farmers also need to be prepared to broaden their skill set. Being a farmer means being a carpenter, a welder, an electrician, and a bookkeeper, because farmers don’t make enough money to hire special services or pay someone to fix everything that breaks. As a reward, there is the quiet satisfaction in knowing you can do it yourself. Meg and Ryan were married in October of 2015. The ring bearer was their cow Madeline and the couple still did farm chores the day of the wedding. They asked a friend from the general store who fills their tank with diesel every week to officiate. From time to time, Meg and Ryan go to the local grange to see friends and other community members. 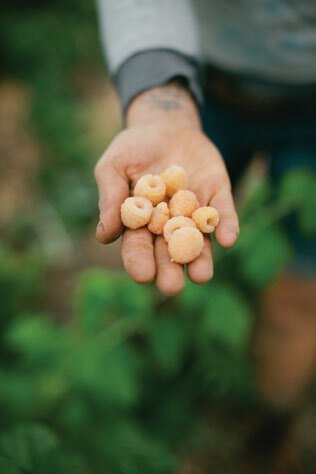 There are other competing farms just down the road, but the prevailing sentiment in town is that they are all part of a movement, helping each other further the mission. flakes and blend once more. Season to taste. the cut kale between your hands to tenderize it. It works! 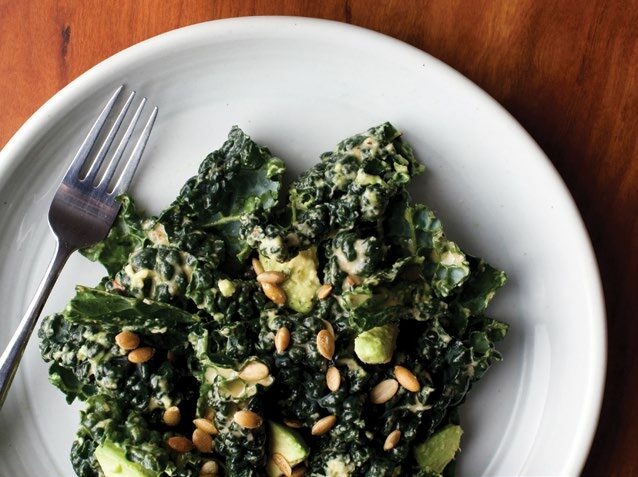 Place kale in large wooden bowl. the skin into the kale. Do the same for the other half. is often very nice on a kale salad, add the remainder. fried egg on top and a hunk of crusty bread on the side.